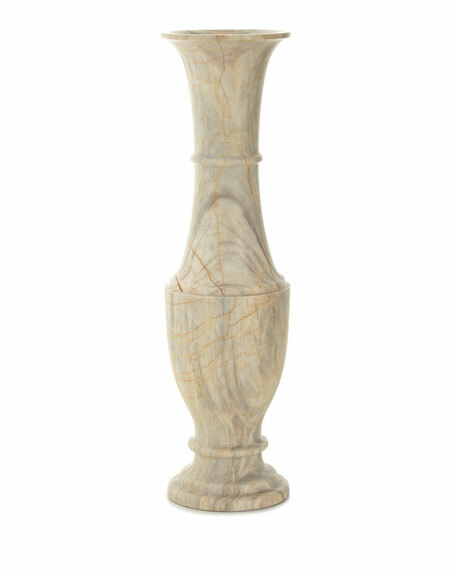 Handcrafted century marble vase with golden veining. Perfect for floor and table use. 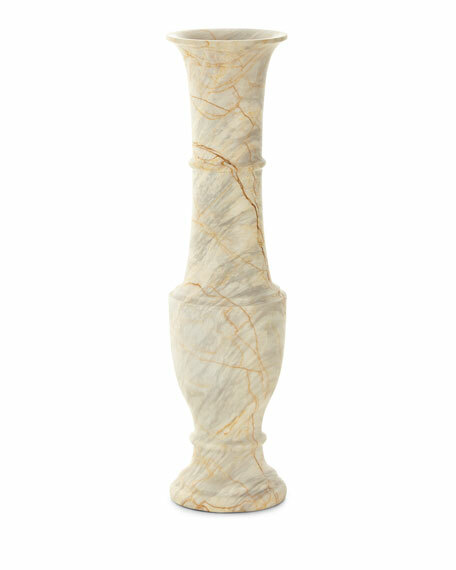 Color striations and golden veining of each piece will vary. Introduced in 1986, the Janice Minor collection soon established itself as a fashionable name in furniture and home accessories. 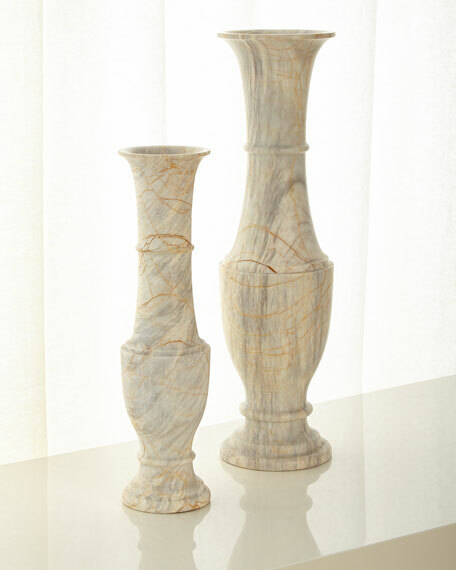 Designer Janice Minor draws inspiration from her travels, and fans love the designer's chandeliers, which run from exotic to classics with a twist, along with her mixed-media epergnes, among many other stylish tabletop options.